In the classroom, Brian was eager to learn. He wanted a job and hoped to learn the skills that would help him. GoodSTEPS was able to provide Brian with a work-based learning experience that helped him develop skills in a real work setting. Brian’s work-based learning experience took place at Eat’n Park, where he grew both personally and professionally. Brian demonstrated his new skills while also learning that he enjoyed and excelled at bussing tables. 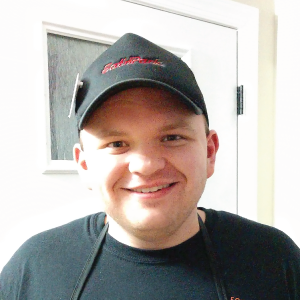 When his work-based learning experience ended, Brian applied for a job at Eat’n Park. He had previously applied at the same restaurant prior to GoodSTEPS, but was not contacted for an interview. This time it was different! Not only did Brian get the job, he’s now been there for seven months! Click here to learn more about Goodwill's GoodSTEPS program.